Very accommodating. You can ask where the good deals are and the guide is transparent if this place is pricey. She is very nice and really helped us out when we wanted to look for certain items. P.S. the cold towels are a god send! Get US$9.5 back in Klook credits for your next trip when you book this activity! Complete this Klook activity to get 5% of the activity cost back in free credits to use on your next booking. For example, book US$189.35 to get US$9.5 free credits. 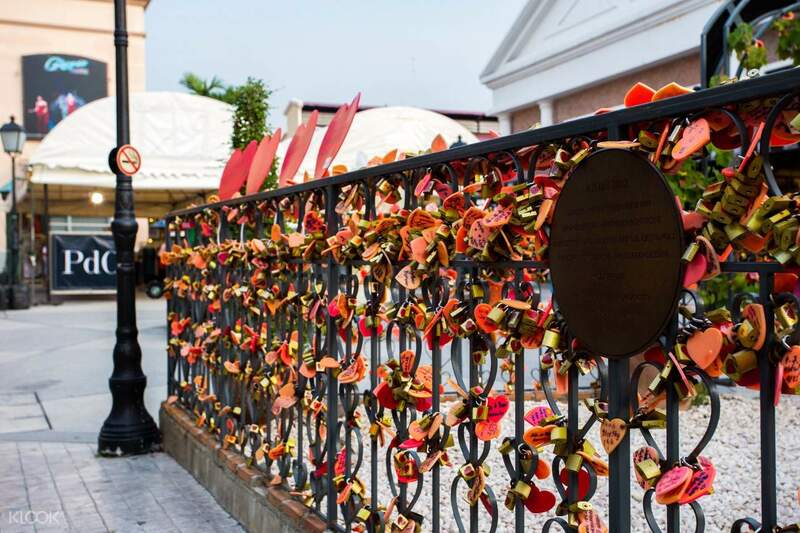 Enjoy an unforgettable shopping adventure at Damnoen Saduak Floating Market, haggle for souvenirs with the locals at Maeklong Railway Market, and enjoy upscale dining experiences at Asiatique. 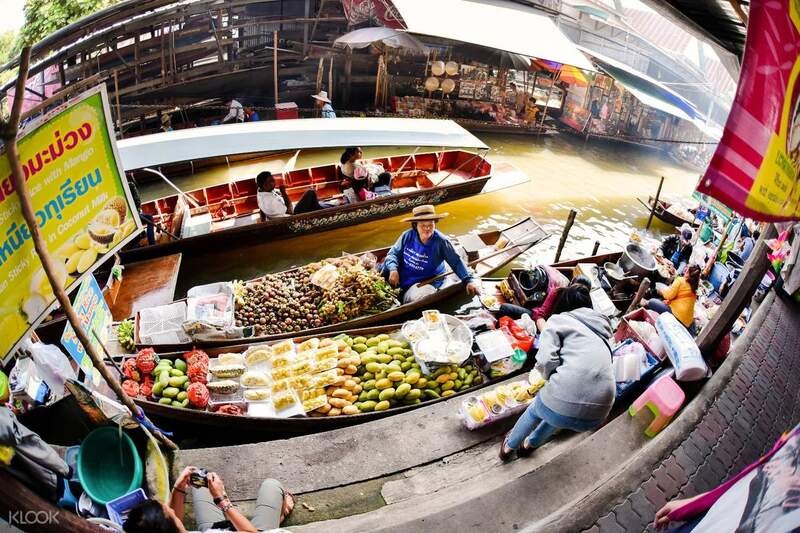 Damnoen Saduak Floating Market is the only authentic floating market of Thailand, where you'll take a long-tailed boat ride along the canal to see all the things the vendors have to offer. 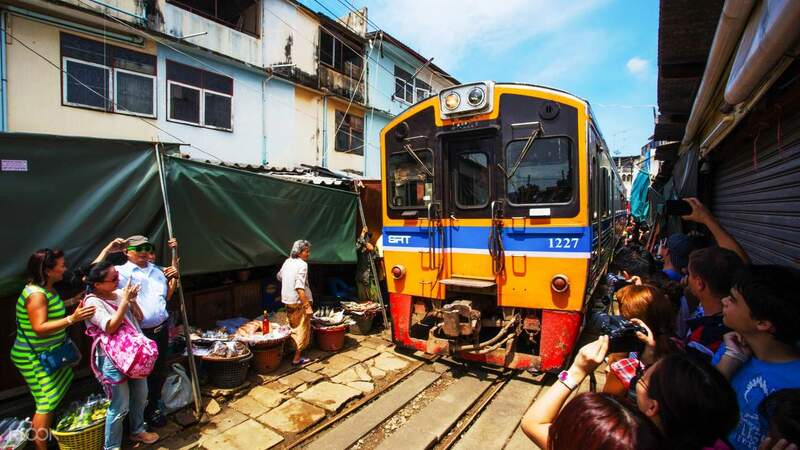 The Maeklong Railway Market, on the other hand, is another popular market where vendors often rush to pack up their goods and fold the roof over their stalls every time a train passes through. 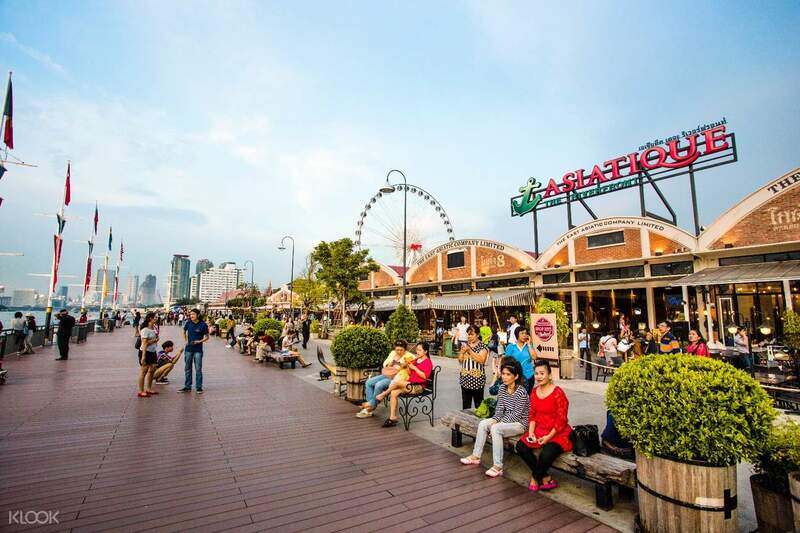 Asiatique is a casual street market and middle class mall just south of Chinatown. It has more than a thousand boutique stalls in the night bazaar, as well as loads of street food joints, 40 restaurants, and a range of entertainment avenues. Other than the 3 major Bangkok markets, you'll also visit Lao Tuk Luck Floating Market. It's in the same area as the current Damnoen Saduak market—simply cross the bridge, and apart from the fruit and vegetable stands, you'll see traditional Thai houses. This day tour is perfect for friends and family—including the kids! everything r so great, although the travel agency havent contact me one day before the trip. The tour guide told us tons of local cultural and situation in thailand to let us know more things than we cant experience within few days trip. they also have a well time management and tried to show us the most famous things in town. Brilliant! everything r so great, although the travel agency havent contact me one day before the trip. The tour guide told us tons of local cultural and situation in thailand to let us know more things than we cant experience within few days trip. they also have a well time management and tried to show us the most famous things in town. Brilliant! Our tour guide Fa was very warm, kind, and polite. He assisted us throughout the entire tour with a smile. He even bought frozen towels and coconut jellies for us after our Maeklong Railway Market tour. Our service was a new Toyota Fortuner. The extra charge for the “private” tour was indeed worth it. Our tour guide Fa was very warm, kind, and polite. He assisted us throughout the entire tour with a smile. He even bought frozen towels and coconut jellies for us after our Maeklong Railway Market tour. Our service was a new Toyota Fortuner. The extra charge for the “private” tour was indeed worth it. I had a very good experience with Fa (not sure if I get his name correct) he is very knowledgeable and thoughtful. He even bought us the ice towel and coconut jelly after the railway market. Both the floating and railway markets are an eye-opening for my family. Good job and thumbs up. Definitely will recommend to my friends and relatives. I had a very good experience with Fa (not sure if I get his name correct) he is very knowledgeable and thoughtful. He even bought us the ice towel and coconut jelly after the railway market. Both the floating and railway markets are an eye-opening for my family. Good job and thumbs up. Definitely will recommend to my friends and relatives. Two thumbs up for our wonderful guide, Pauleen. Very informative and intelligent. I loved the floating market. We had the tour during the Loy Kratong festival and the Asiatique was the perfect night to cap off the night. Two thumbs up for our wonderful guide, Pauleen. Very informative and intelligent. I loved the floating market. We had the tour during the Loy Kratong festival and the Asiatique was the perfect night to cap off the night. Our tour guide was on time to pick us up from the hotel. We had a 12-seater van which was very comfortable and clean. Overall very good experience as some of our friends never been to Bangkok. It’s really value for money. I highly recommend this private day tour if you only spend few days in Bangkok. Our tour guide was on time to pick us up from the hotel. We had a 12-seater van which was very comfortable and clean. Overall very good experience as some of our friends never been to Bangkok. It’s really value for money. I highly recommend this private day tour if you only spend few days in Bangkok. Our guide Fala is just fantastic! He has made the markets excisions in the heat a lot more enjoyable and easy. The tour is highly reccomended for families interested in local Thai lifestyle and culture. Our guide Fala is just fantastic! He has made the markets excisions in the heat a lot more enjoyable and easy. The tour is highly reccomended for families interested in local Thai lifestyle and culture. Our tour guide, Ping Pong waited for us in our hotel lobby before the stated time. He called for the driver and we went on our tour. He provided us with water, snacks, even a towel to cool down. Every location we visited, he gave us a little description. Overall we enjoyed this tour. Thank you, Klook! Our tour guide, Ping Pong waited for us in our hotel lobby before the stated time. He called for the driver and we went on our tour. He provided us with water, snacks, even a towel to cool down. Every location we visited, he gave us a little description. Overall we enjoyed this tour. Thank you, Klook! There were 10 of us and we definitely had fun. It is more kind of free and easy package for us and we prefer it that way. The guide was punctual and everything was running so smooth. Definitely one of the best experience for all of us. So convenient! There were 10 of us and we definitely had fun. It is more kind of free and easy package for us and we prefer it that way. The guide was punctual and everything was running so smooth. Definitely one of the best experience for all of us. So convenient! This private tour was good. My family had fun at the floating and railway markets. And shopping at Asiatique. The tour guide Max is very helpful and friendly too. This private tour was good. My family had fun at the floating and railway markets. And shopping at Asiatique. The tour guide Max is very helpful and friendly too.